Digital Media/Multimedia Academy is a pathway to prepare students for employment in entry-level positions in New Media, Web Design, Multimedia, and Digital Media. 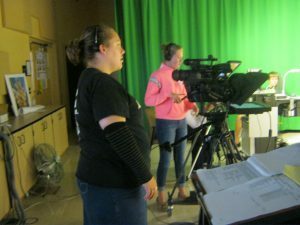 This program offers a broad foundation of knowledge and skills to prepare students for employment in digital media, new media, and multimedia positions. The content includes an overview of the skills needed for entry-level positions in these career fields through practical experiences in digital photography, Web page design, digital video editing, and presentation development. Specialized skills in multimedia presentations and production such as video editing, audio input, and simple animation are used to produce a variety of multimedia projects. 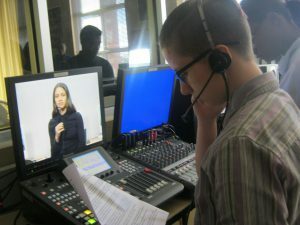 This program focuses on broad, transferable skills and stresses understanding and demonstration of the following rudiments of the digital media/multimedia industry: collaboration/teamwork, presentation planning, elements of presentation design, storyboarding, integration of video, graphics, digital image manipulation, animation, and audio elements into new media projects/presentations. This is a three year program that encompasses various training techniques to include earning national certifications in Adobe Photoshop, Flash, and Dreamweaver – software used to manipulate digital images and create websites. This course provides an overview of presentation guidelines and design elements associated with various presentation types. Effective digital photography composition and digital imaging software features including optimizing digital photographs for Web publication are covered. 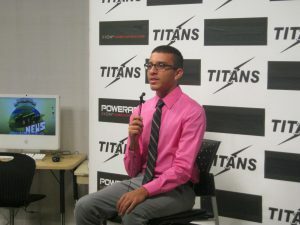 Students will create an electronic slide presentation using presentation software. This course is designed to provide a basic overview of the Internet, Intranet, and WWW. The content includes operating systems; basic HTML commands; navigation of the Internet, Intranet, and Web; and Web page design. This course covers advanced planning and video editing for multimedia presentations. Students design presentations through various steps of development, implementation, and final output. Through the Career Pathways Program Articulation Agreement between Indian River State College and The Saint Lucie County School District, graduates from the NMT program at Treasure Coast High who demonstrate competencies outlined in the course curriculum, may receive as many as 18 semester hours of credit toward their college degree at IRSC (contact school career counselors for details). Students who complete the three courses in the NM Academy with a 3.2 GPA or higher, will earn a Gold Seal and be eligible for Bright Futures scholarships for up to 100% tuition coverage for their first two years in college.